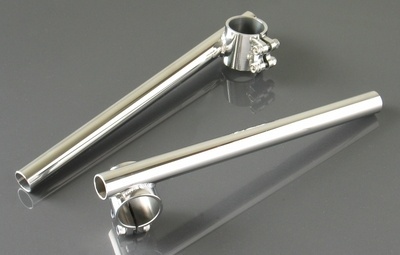 Quality polished stainless steel clip-on handle bars fit all 35mm fork tubes. 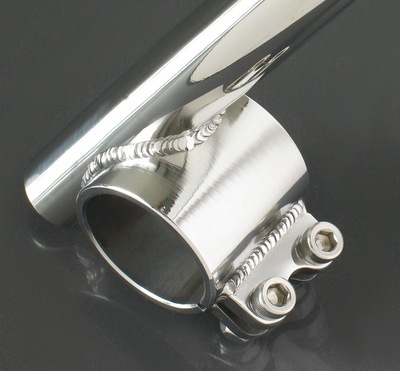 Perfect for a SR500, XS650, or CB-750 cafe racer project, they are suitable for any bike with 35mm fork tubes. When fitting clip-on bars, we recommend fitting our steering stop to avoid damaging your fuel tank. It is also necessary to use after-market headlight brackets.